CCTV cameras are very important as it improves the security of your house as well as safeguards the valuable assets that you want to protect. However, not everyone is an expert regarding the CCTV security cameras. Moreover, receiving support from the consultant can make it more confusing for you to buy one. In this article, we shall take a more in-depth look into a few things to know before buying a CCTV camera. 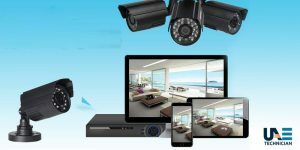 Many people have asked the question of how to choose a security camera system for your home on many forums. So, we have collected results after researching a lot on CCTV cameras and in this article, you will get the CCTV camera specifications explained. Modern CCTV comes with an inbuilt SD card slot. Ranging from various capacities, they come in different shapes and size. You can get 32GB, 64GB, or 128GB capacity SD cards that can be used for recording. Recording your videos through CCTV is very important as you can play them later in the hour of your need. Pan is the maximum angle that a CCTV camera can rotate horizontally and tilt is the maximum vertical angle. Some CCTV cameras also offer the feature of rotation remotely by the app of their manufacturer. So, a higher pan or tilt of CCTV camera is necessary to monitor a large area. The quality of an image is necessary nowadays as a result, a good quality of CCTV camera is essential. Try to get those cameras with the video quality of either 720p or 1080p resolution. The better the resolution of video results in better video quality. However, the better resolution also means occupying a more substantial amount of internal storage. So, before you get a camera with better resolution, you must be also careful that the storage that it takes to store a video will also increase. Storing too many videos can occupy the full memory and render it useless. In that case, you need to choose those cameras which contains the overwrite feature. Therefore, before buying, you must check that the camera has good storage space and better backup time. Motion and an audio sensor are necessary for the optimum functionality of a security camera. So, make sure that the camera that you are trying to buy has both movements as well as an audio sensor in them. Motion sensor detects suspicious motion near your property and alerts the owner with timely notifications. Therefore, if you want a top-notch security solution for your home, then buying a camera with these features included is worth the price. Nevertheless, check that the CCTV installation is more straightforward and flexible to carry out. Simply put, installing a wireless CCTV camera is very easy and depends only on the positioning and mounting factors. Screwable cameras are hard to install but have a long-term benefit, whereas the one with magnetic bases are easier to install but is not so reliable. So, you may need to buy those CCTV cameras with pre-installed mounting stands and screws. Download the manufacturer app of your camera from Google Play. Then, install it on your phone. Next, you need to authenticate the app with the QR code which is present on the camera so that your app can recognize it. You must make sure that the CCTV is waterproof. Checking whether your camera is waterproof is a must if you want to install it outside your house or shop or in any open space. This is to make sure that you can keep your camera outside especially during monsoon. Infrared LEDs are small lights that are present at the center of the lens. The benefit of using Infrared lights is to get better video output during the night. So, more the number of LEDs, better is the video quality during the night. As most of the thieving cases occur during the night, therefore, it is necessary to buy cameras with a higher number of Infrared LEDs. Check the range of CCTV camera that you are going to buy. The scope of the CCTV camera depends on the focal length of the lens and the size of the image sensor. So, more the range of the camera, the better is the video of distant objects. A high-range camera is necessary for outdoor CCTV cameras. The minimum range that a security camera must contain is 25 meters. Inbuilt hotspots add an extra layer of security to the assets that you are trying to protect. Presence of hotspot allows users to live stream on their smartphone directly. Also, you do not need an internet connection compulsorily. This offers an extra benefit to you as it is not always possible to have internet connection in your device, but you can still access the video. There are a lot of CCTV dealers all over the world, but not everyone holds a proper license. There are many fraud cases that have taken place in the recent past. So, before you decide to buy a CCTV from any dealer, ask for his or license and verify the same. Statistics say that over 65% of camera installation all over the world is illegitimate. So, to be on the safer side, you must check the license of the dealer from whom you are buying or installing the CCTV camera. It is also required that you look for reputed and certified shops for CCTV camera installation. A wired camera is very popular as they are less expensive. Interestingly, wired cameras are more reliable because they are connected through wires. The main benefit of a wireless CCTV camera is mobility and scalability. Wireless cameras are easy to install and move around as well. A good quality of a wireless camera is more expensive than a wired camera. Wireless cameras are preferred in those areas that are congested with wires. However, you must possess a high-speed internet connection and a good-quality router. Finally, check the number of years of warranty covered by your camera. A good quality CCTV camera offers at least three years of warranty. Check everything in detail before you finally decide to buy one. Hopefully, this article provides all the details that you need to keep in mind before buying a CCTV camera. If you have any queries, never hesitate to ask us by getting in touch with our team. We will reply you as soon as possible.